So kangaroo pasta it was! The challenge was cooking the meal. Smucky has lived in his house for nine months now, so you’d think it’d be reasonably stocked. However, Smucky does not cook – at all – and it was painfully obvious. His oven was pleading for help. I’m not kidding: the clock/temperature window read “H E L P” when I got there. I assuaged its pain somewhat by setting the clock, but between the three of us we were unable to get the oven – other than the clock – to work. 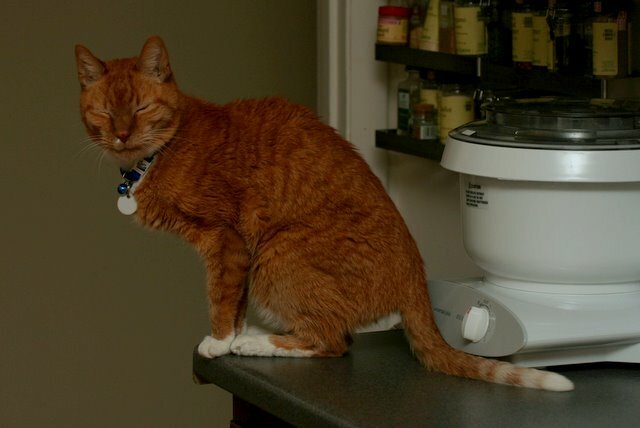 Smucky claims it’s been used since he moved in, but it definitely doesn’t work now. And he didn’t even know! Before leaving the States, I had asked Smucky if he had a decent knife, planning to pack my chef’s knife if he didn’t. He stated he had a “big knife”, so I didn’t bother. Smucky’s “big knife”, however, turned out to be nothing more than a glorified steak knife, accompanied by about 20 steak knives. So after an hour in King of Knives, I bought him a cheapish but somewhat decent chef’s knife. I can’t live without a knife! 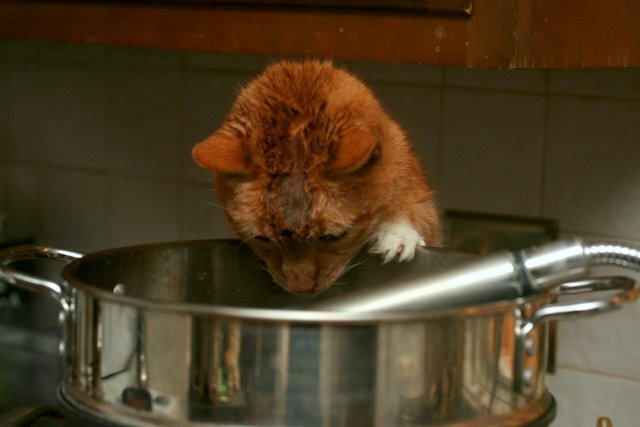 Smucky’s mum has stocked him with a few pots and pans that he’s never used, so I did find a nice pot for cooking the pasta and a large skillet. After a few minutes of panic (on my part), he even managed to scrounge up a cutting board. So I was finally in business. Kangaroo pasta and a tossed salad! 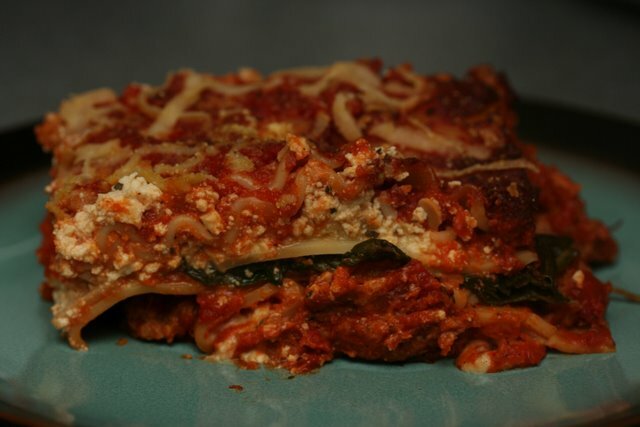 A quick and easy meal prepared in a woefully underused kitchen! Mince the garlic and chop the onion. Chop the sun-dried tomatoes and measure the capers. Heat the olive oil in a large skillet. Add the onions and garlic. 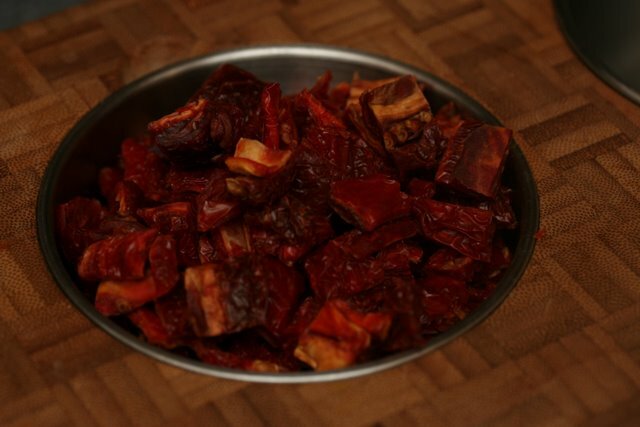 … add the sun-dried tomatoes and capers. 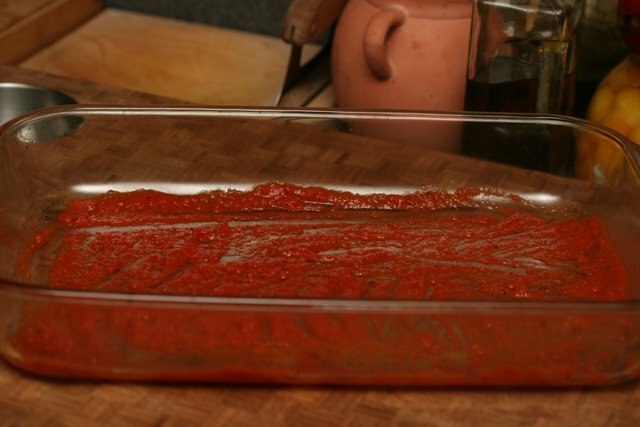 … and the tinned tomatoes. Season with oregano, salt, and chili flakes. 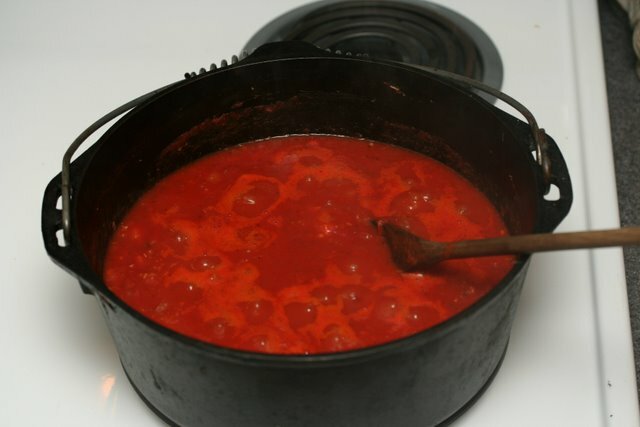 Let the tomatoes cook down for a few minutes, then add the basil and the pasta and allow to warm up. I also made a tossed salad. For a dressing, I just mixed together some olive and balsamic vinegar, along with a bit of salt and garlic. 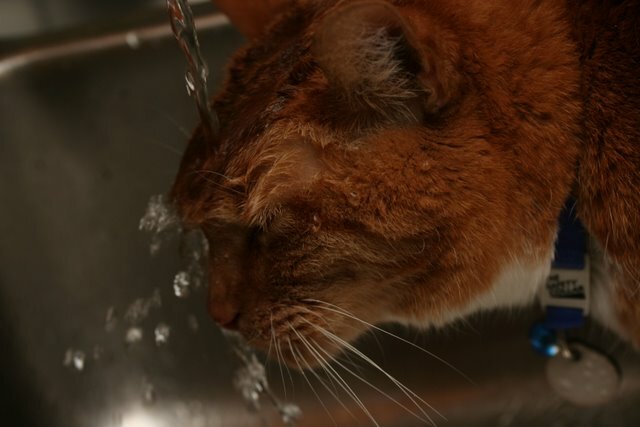 Smuck doesn’t have a whisk, can you believe that?! I used a fork. Smucky was very happy to enjoy a home-cooked meal for once! Happy as the Smuckster was, I was not that happy with the meal, unfortunately. 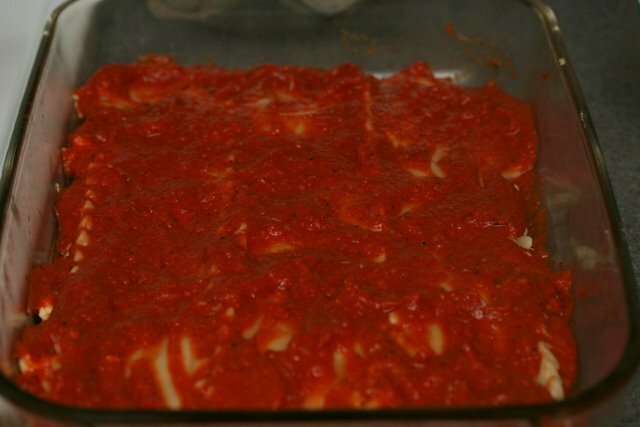 First of all, I didn’t let the pasta warm up enough after adding to the sauce and it was not as hot as I’d have liked. Secondly, I don’t think this is really the thing to make with kangaroo-shaped pasta. This dish is really better with penne or something like that. I think kangaroo pasta is crying out for a more mac and cheese approach. I have another box of it though! Now that the food is out of the way, meet Max Powers! Max is Smucky’s cat, whom I LOVE! 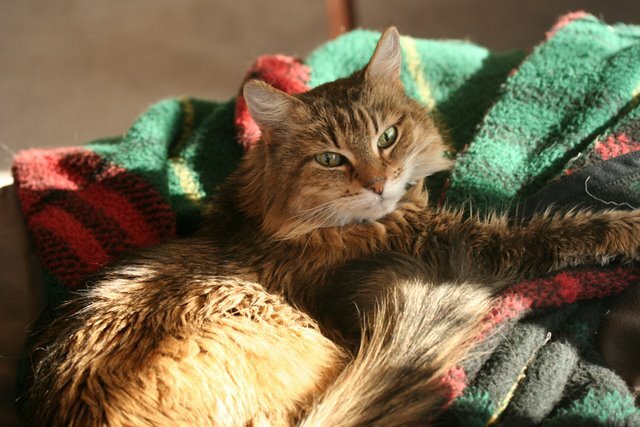 I always feel a little sad and lost when staying in a catless home, so I was very happy when Smucky got Max, and not only that, but Max is very friendly and loves me too! And he’s so handsome! The greatest thing about the Botanical Gardens, though, is the BATS! I have a life-long love of bats and the Sydney Botanical Gardens are home to a very large breed of macrobat called flying foxes or fruit bats and they are really, really neat. He’s sticking his tongue out! There are also wild parrots! It’s February and I was hanging out on the beach! I’m sunburnt! I’m sure I’ll be back with another post before I return home next Friday, but please forgive me if my posts are sporadic and possibly non-food related. Eating vegan is easy in Sydney, though. 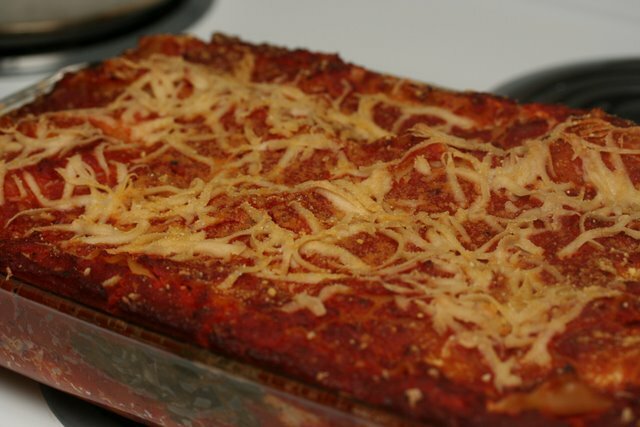 Cheeseless pizza on its way to me as I type! 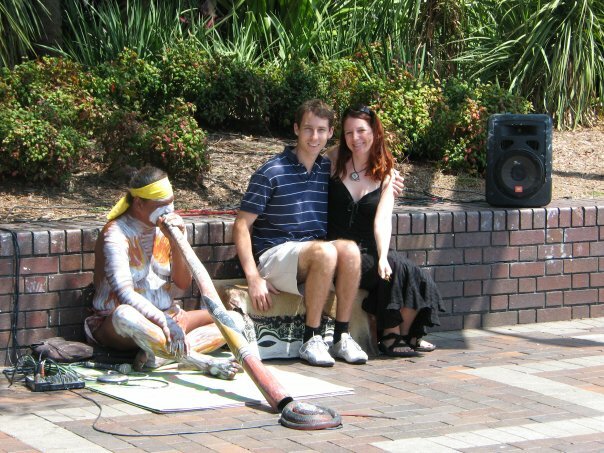 Nat wot I wel wher that I flete or synke. Okay, okay…I won’t subject you to any more of The Parliament of Fowls, but consider yourselves lucky because I’ve been known to read the whole thing on Valentine’s Day. Yes, I am a Chaucer geek, and in the days, so long ago, before I met Mark, I was particularly enamored not only of the idea that the first written association of St. Valentine’s Day with romantic love was made by my buddy Chaucer, but also that it ends with the female bird choosing none of her three tercel (eagle) suitors. (As I was picky about men myself and spent many Valentine’s Days alone.) I copied the above out of my battered but beloved Riverside Chaucer, but I’ve found both the original and a modern translation for you. Enjoy! 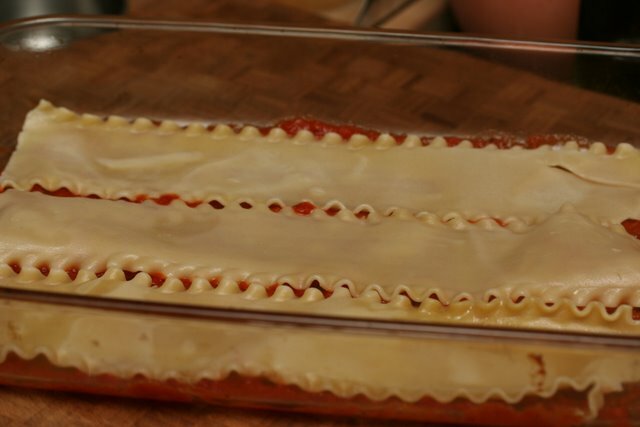 I’ve been fortunate to have a Valentine for the last eight years and I asked him what he’d like me to make for dinner tonight and he requested lasagne. 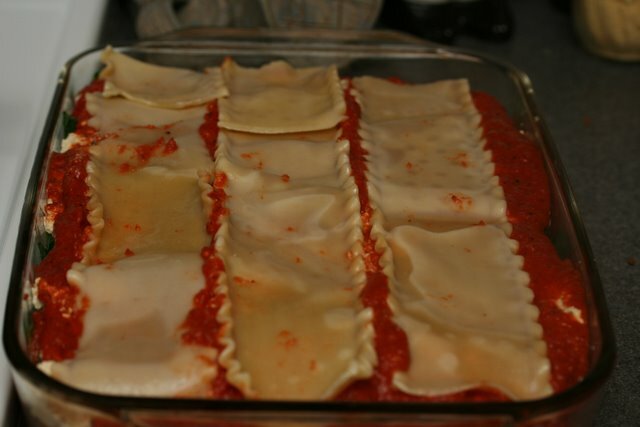 It occurred to me that I’ve never featured lasagne here, so I documented it. Pour a glass of wine and sit down: this is going to be long. 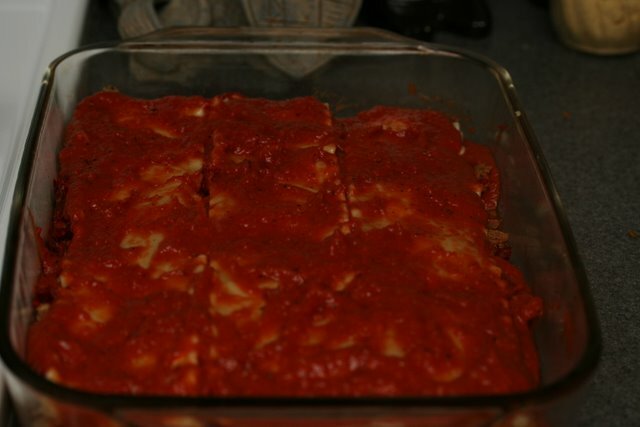 Not because it’s particularly hard to make lasagne, but because I took a gazillion photos…. 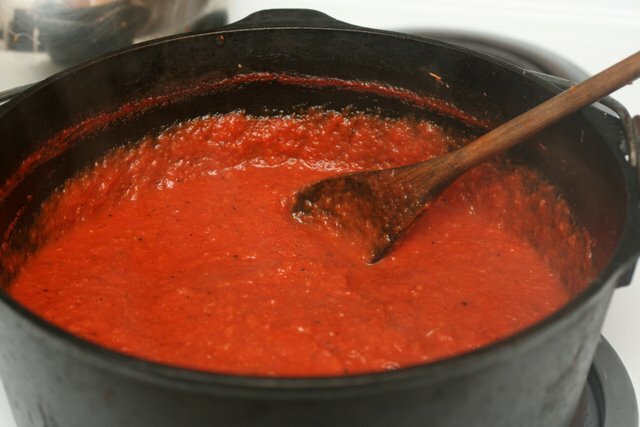 First, start the marinara sauce. 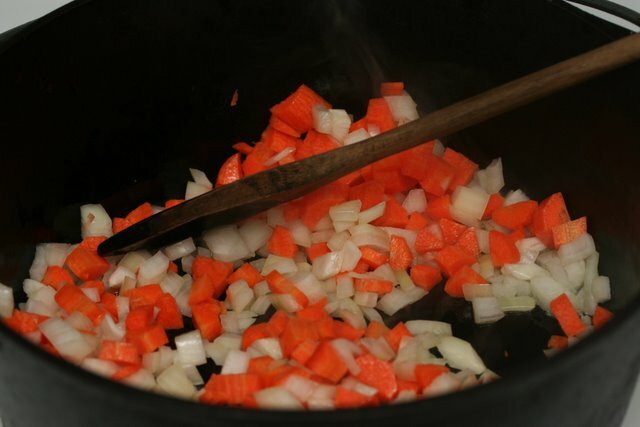 In a Dutch oven or large pot, heat a bit of olive oil then add the onions and carrots. 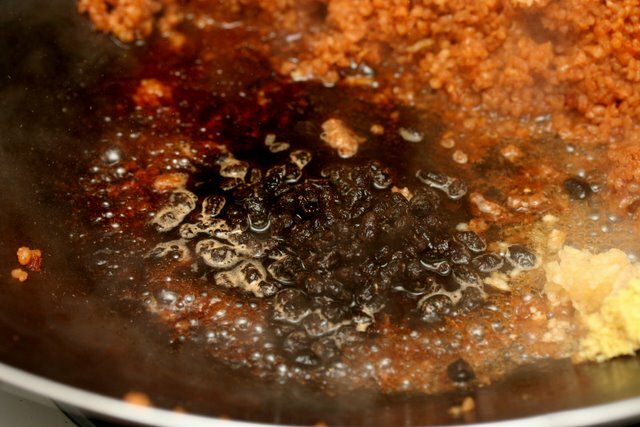 Saute for 5 minutes. Add the garlic and saute another 5 minutes. 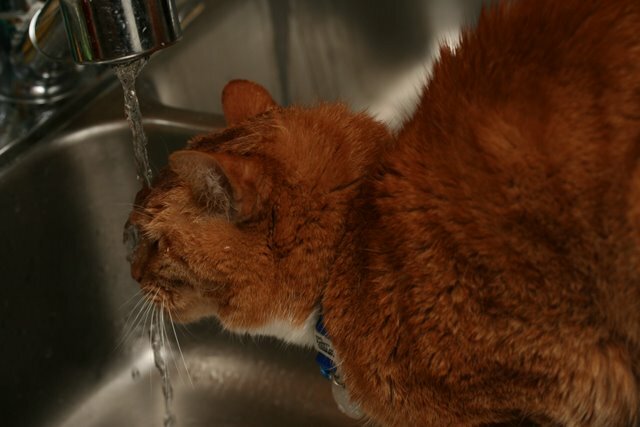 This is about the time Tigger was taking a shower in the sink. 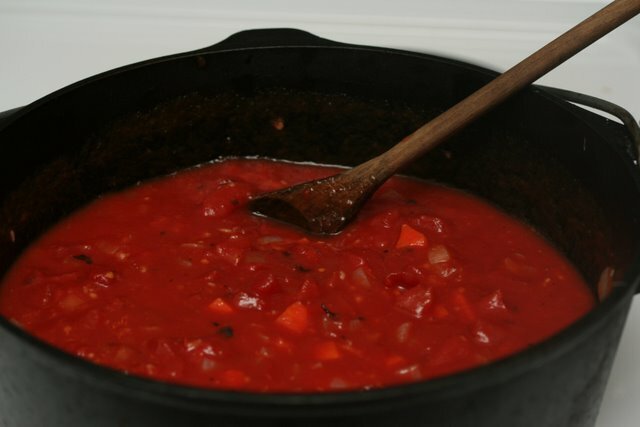 Anyway, when the onions and carrots are soft, add the tomatoes and bring to a boil. 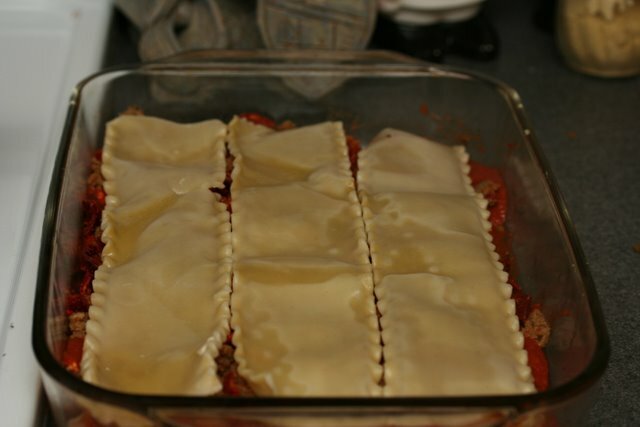 Then add the rest of the ingredients except the lemon juice and turn down the heat until the sauce is just simmering. Allow to cook for half an hour. 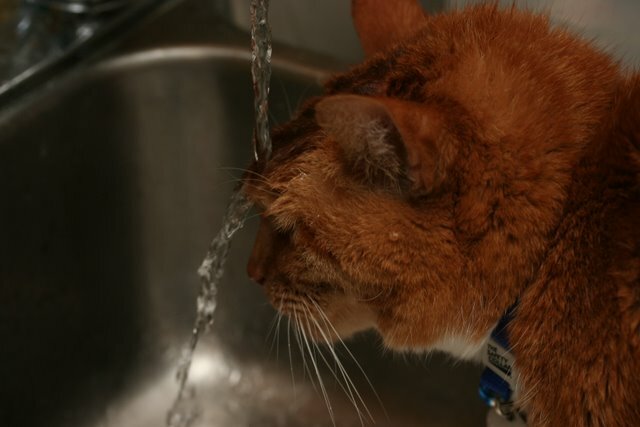 When you are able to get rid of the cat, bring the water to a boil and add the lasagne noodles. 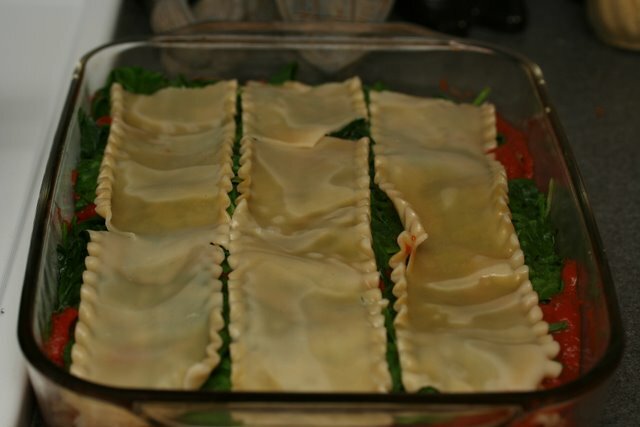 I have never had luck with no-bake noodles, or not pre-cooking regular noodles, so I always cook my noodles. 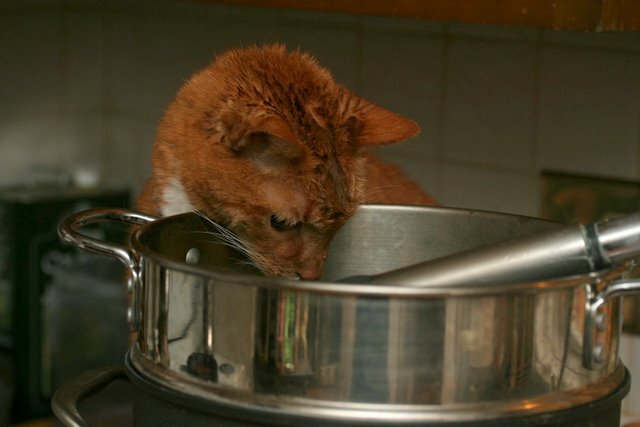 If you’ve had better luck than I have not cooking your noodles, go for it. 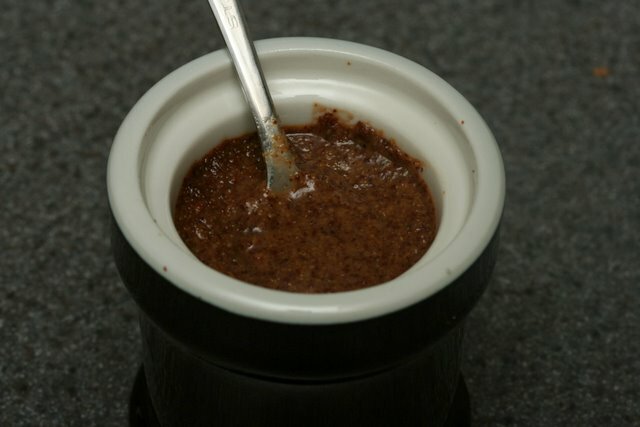 When the sauce if finished cooking, blend in batches in a blender (only after cooling! 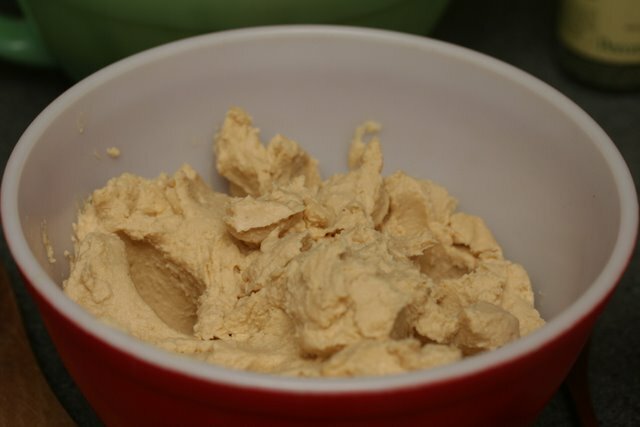 ), or use an immersion blender. (This step is optional.) The stir in the lemon juice. 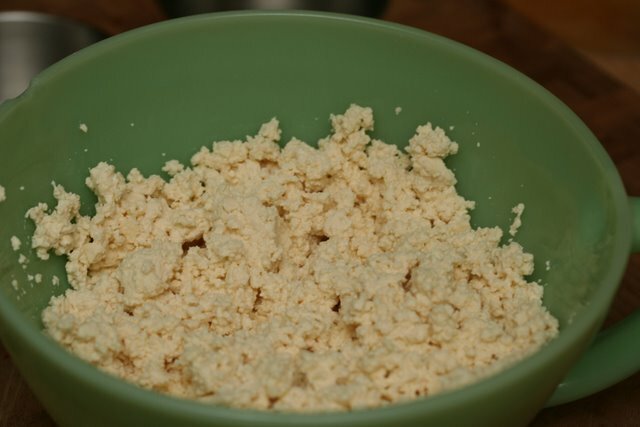 To make the ricotta, place the tofu in a bowl and use your hands to crumble it. Mix thoroughly; it’s easiest and most fun to just use your hands. 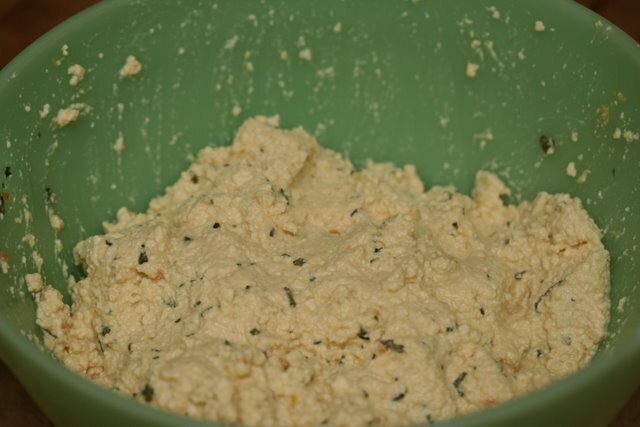 The last time I made the cashew cheese, it firmed up enough to shred, but I had blender issues this morning and added more soy milk than called for, so it was too soft to shred. So shred it if you can, otherwise, you can just smear it on! 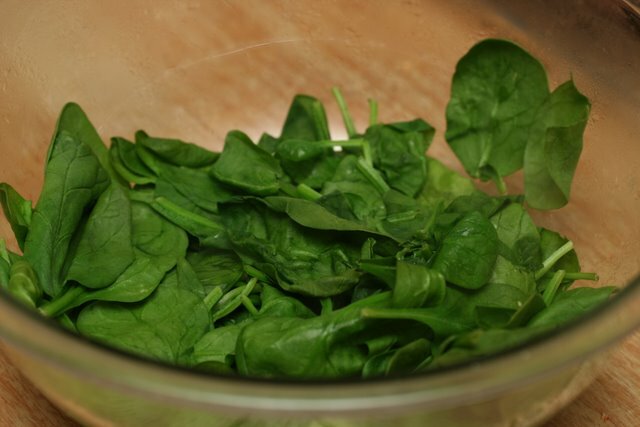 To prepare the spinach, stick it in a bowl and microwave it for 2 minutes. I had to do it in two batches because I didn’t have a large enough bowl to handle it all at once. 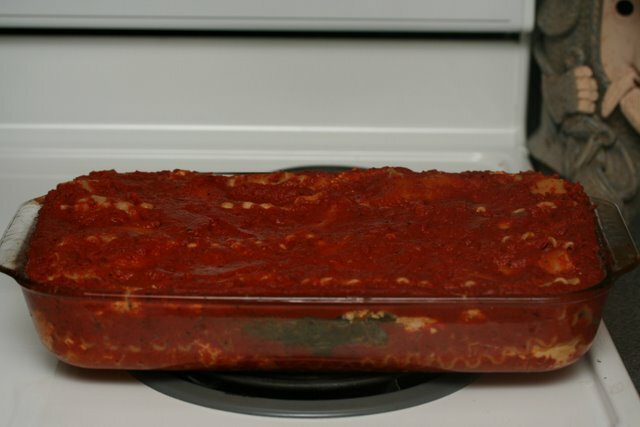 Spread about 1/4 cup of the sauce on the bottom of a 9×12 lasagne pan. 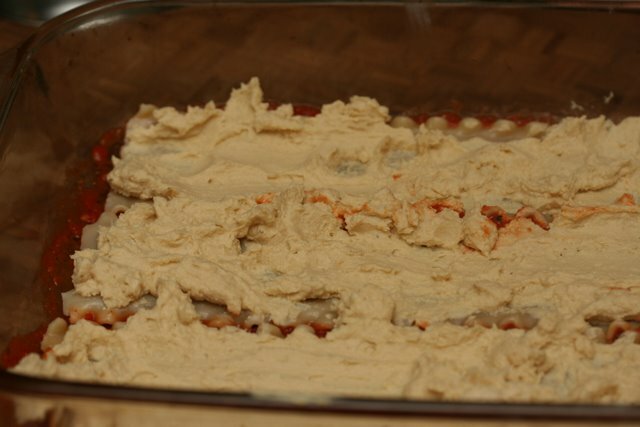 Add a layer of cashew cheddar. 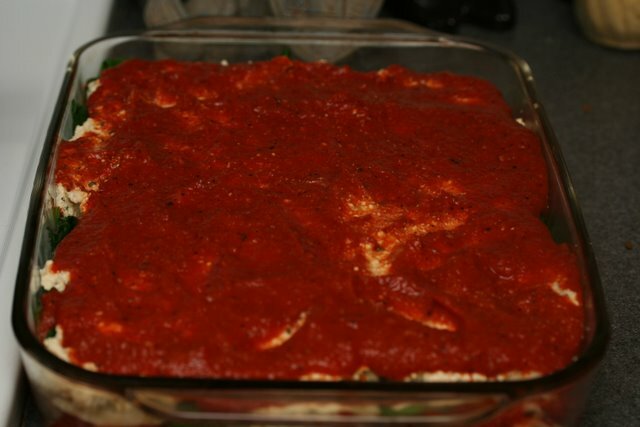 Add a layer of sauce. 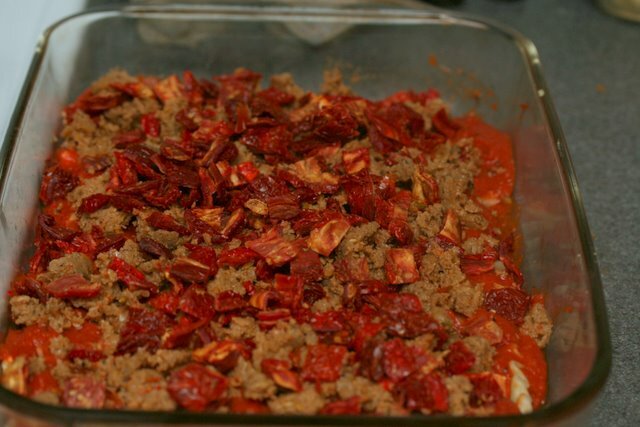 Add a layer of sausage and sun-dried tomatoes. 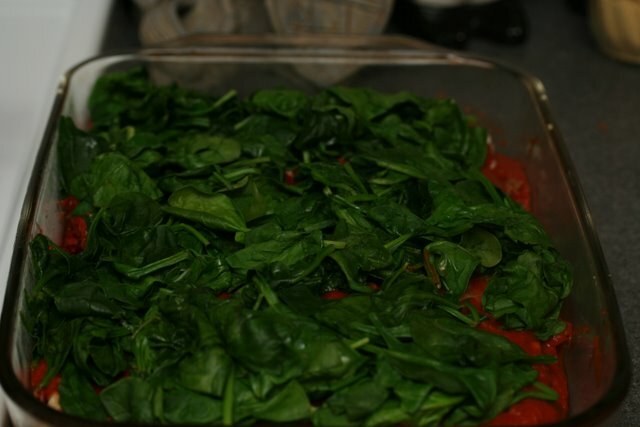 Add the spinach in a layer. 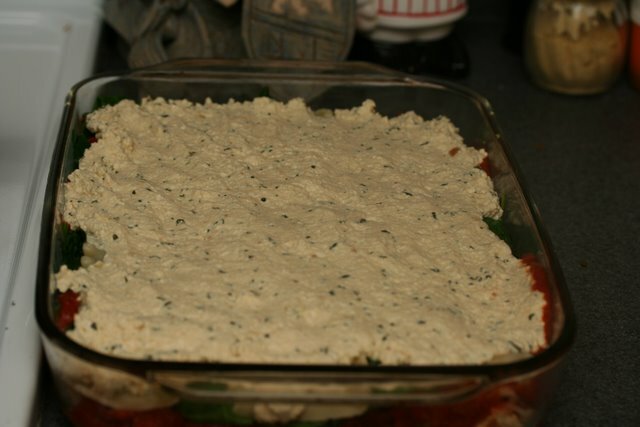 Add the ricotta in a layer. 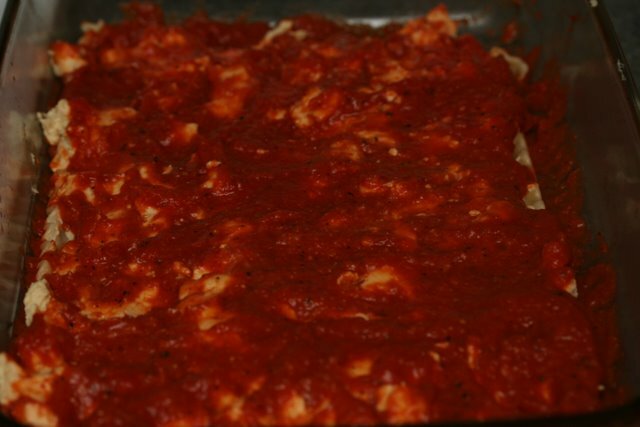 Add the rest of the sauce, making sure it slides down the sides of the lasagne. 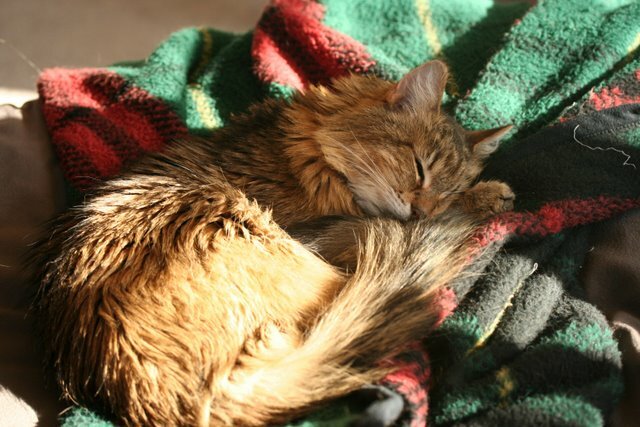 Bake at 375 degrees Fahrenheit for half an hour. 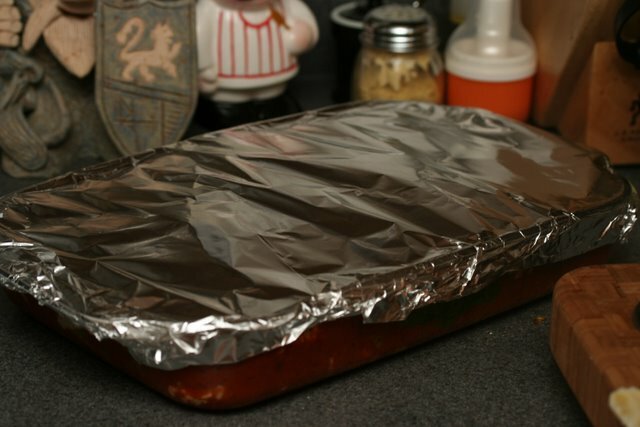 Remove the foil. Add shredded vegan mozzarella and/or parmesan. 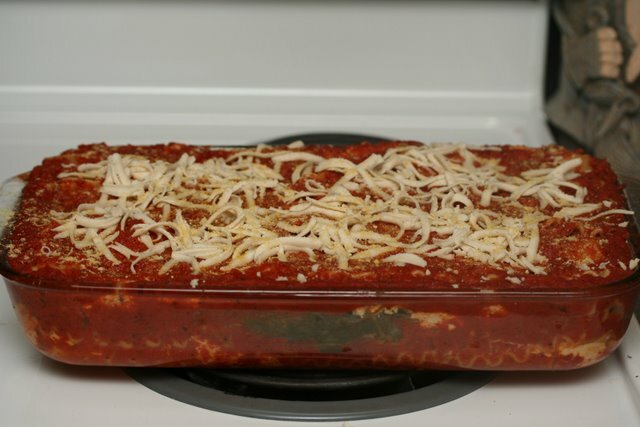 Return to the oven, uncovered, and bake for an additional 20 minutes. Remove and let sit for 10 minutes before serving. 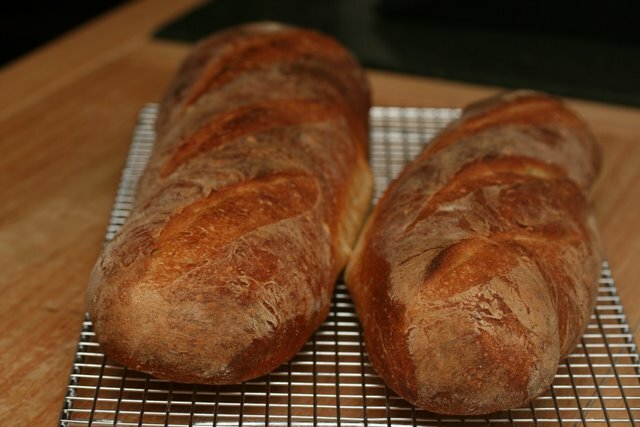 Serve with fresh, crusty bread! One of my favorite Chinese ingredients is fermented black beans, and I’ve been wanting to post a recipe showcasing them for a while now. Ma po tofu isn’t quite the recipe I had planned for that post because although you can taste the black beans, it’s harder to distinguish them from the other flavors. 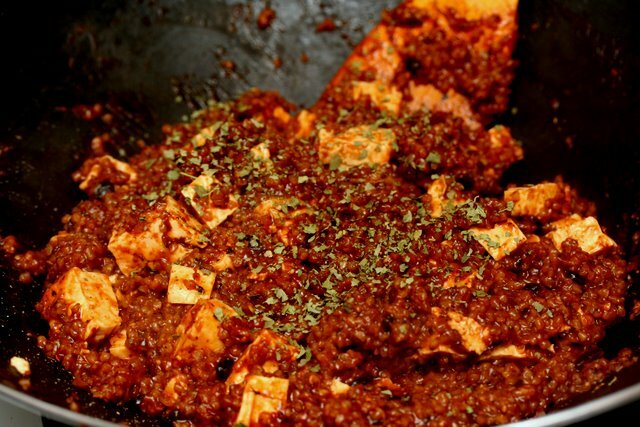 But I got it in my head I wanted to make ma po tofu – I think because Mark Bittman featured it earlier this week – so that’s what I made tonight. I’ll be getting back to you on a more fermented black bean-intensive dish soon, but in the meantime, here is a tasty and quick dish you can make. Fermented black beans are available in Chinese grocery stores. 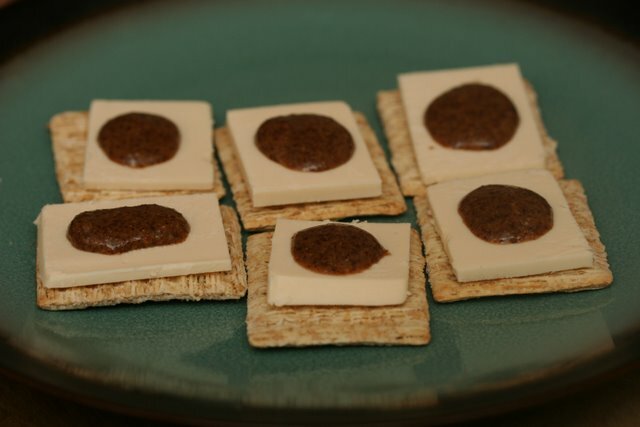 If you absolutely can’t find them, you can omit them, but they are well worth seeking out for their unique and delicious flavor. 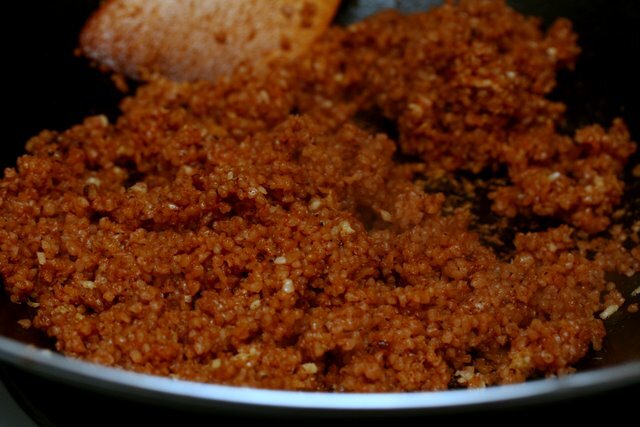 Bulgur stands in for the traditional pork or slightly-less-traditional ground beef here. 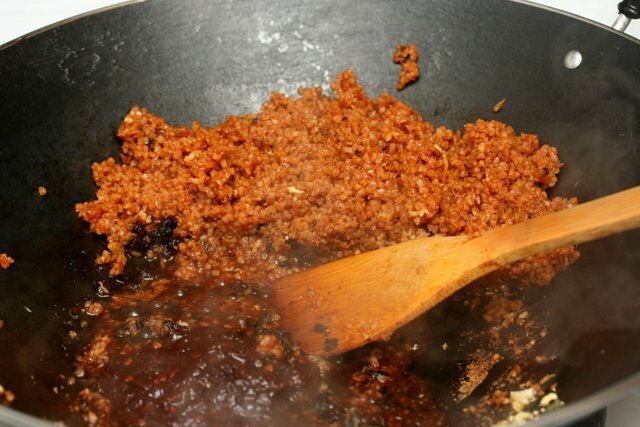 You can use a commercial vegan “ground beef” if you’d like, but bulgur is very quick and easy to whip up, much cheaper, and healthier. 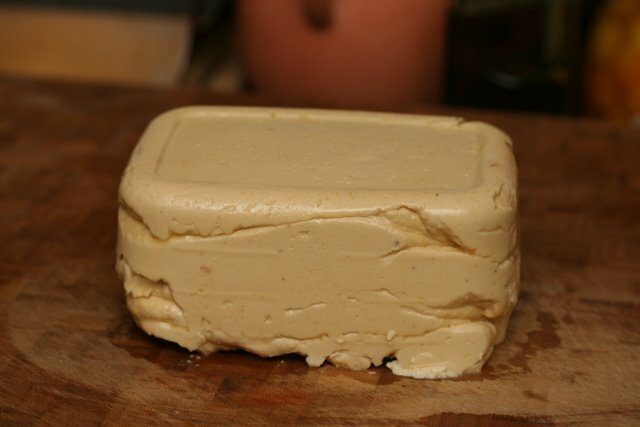 As for the tofu, you can use any water-packed variety you want, from soft to firm, but you don’t want to use silken tofu (the kind that comes in aseptic packs), which I don’t think is really used much in Chinese cuisine. 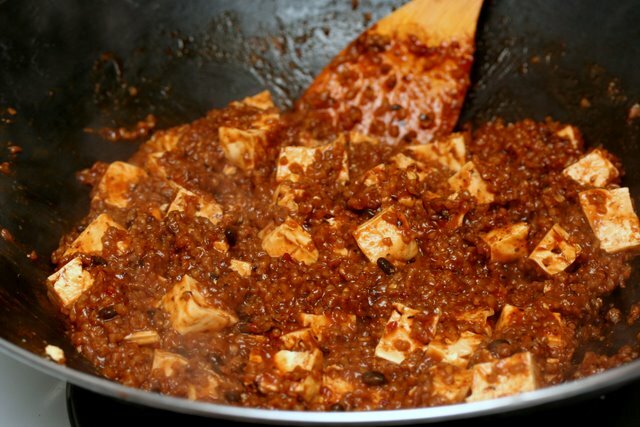 Many ma po tofu recipes call for soft tofu, but you don’t want to use tofu so soft it falls apart when you gently stir it. 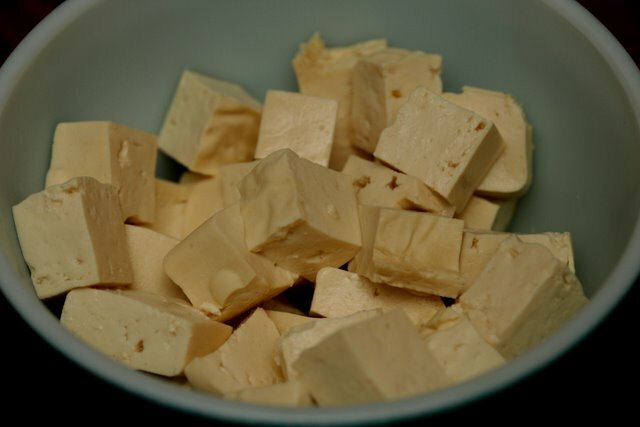 I made my own tofu, as I always do, but I used calcium sulfate as the coagulant instead of my usual nigari, because calcium sulfate makes a softer tofu (my usual tofu is very firm). 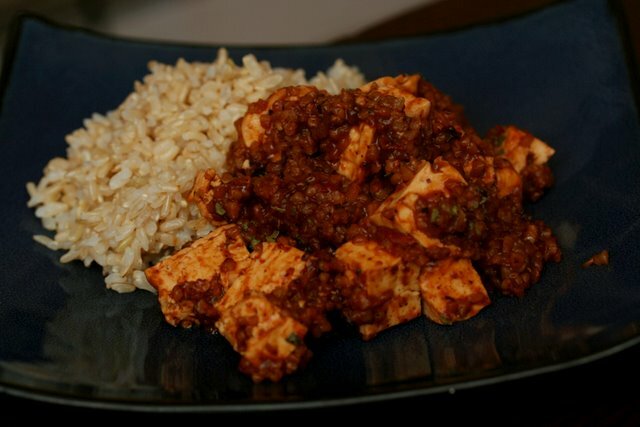 It only took about 45 minutes to make the tofu from start to finish and the taste is so very worth it that I encourage you to consider trying it out, but of course you can use store-bought if it’s out of the question. Excuse my fake tofu. 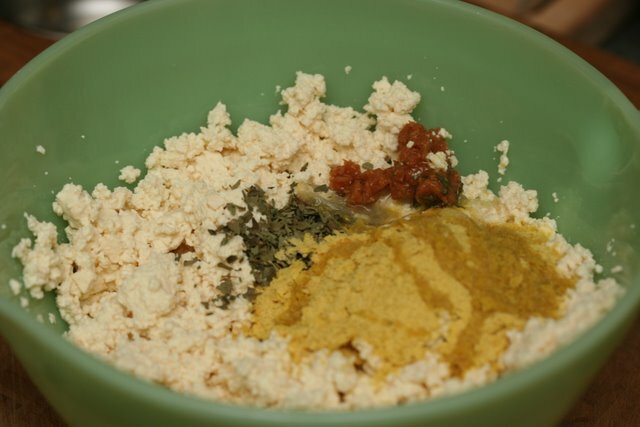 I was in the midst of making the tofu when I took the ingredients photo. 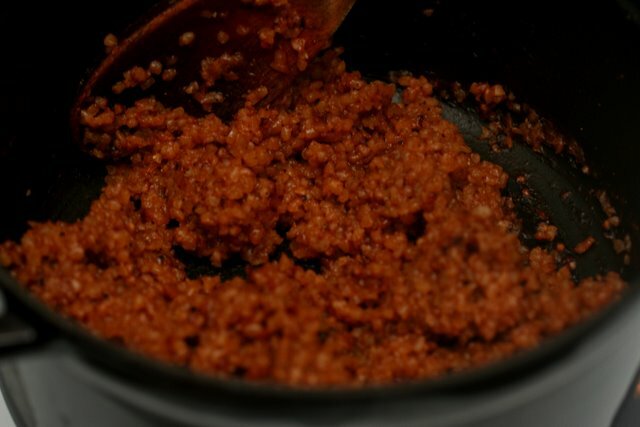 To make the “beefy” bulgur, place 1 1/2 cups of the broth, the tomato paste, and the bulgur in a small pot and bring to a boil. 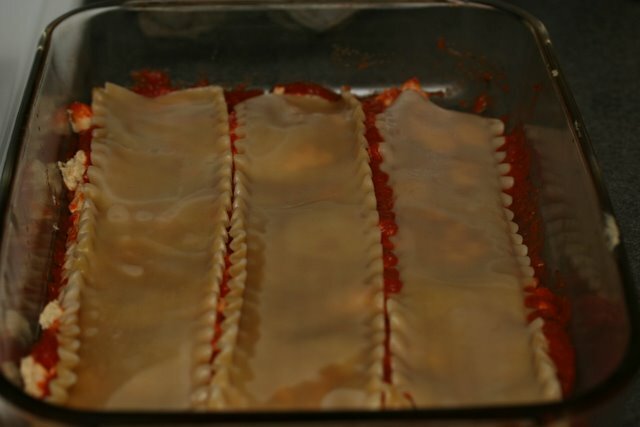 Cover and lower the heat to medium low. 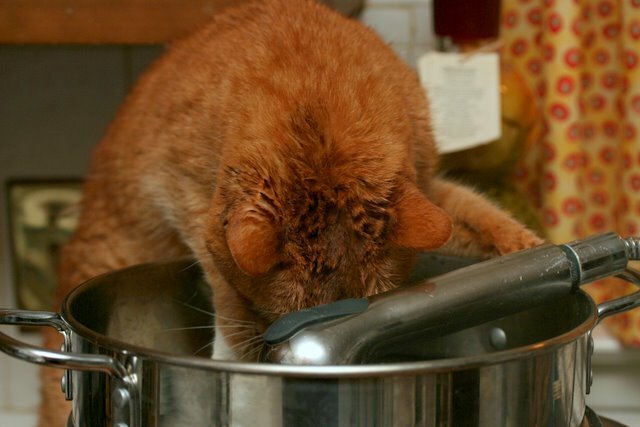 Cook for about 15-20 minutes or until broth is completely incorporated. Set aside. 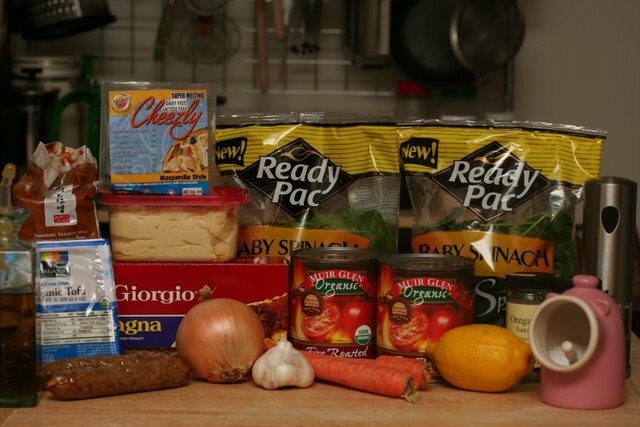 While the bulgur is cooking, prep the rest of the ingredients. When stir-frying or making other very quick-cooking dishes, you always want to have everything prepared and waiting for you before you begin heating the wok because it goes very quickly once you do. I love using my little restaurantware Chinese tea cups – which my mom got for me and which I love – for prepping (as well as for tea) because they are just the right size. 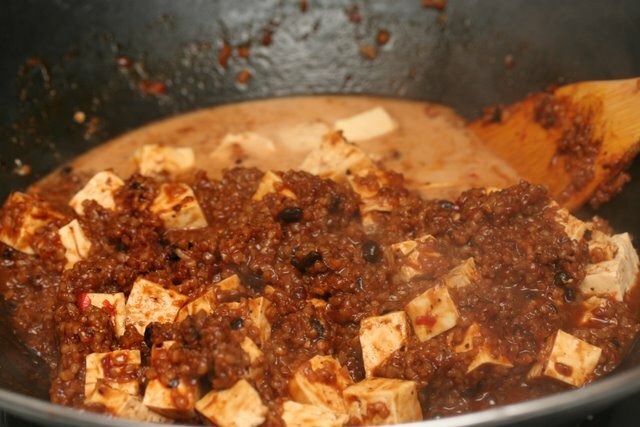 Place the shaoxing wine or sherry and fermented black beans in one small dish; mix the bean paste and chili paste in another. 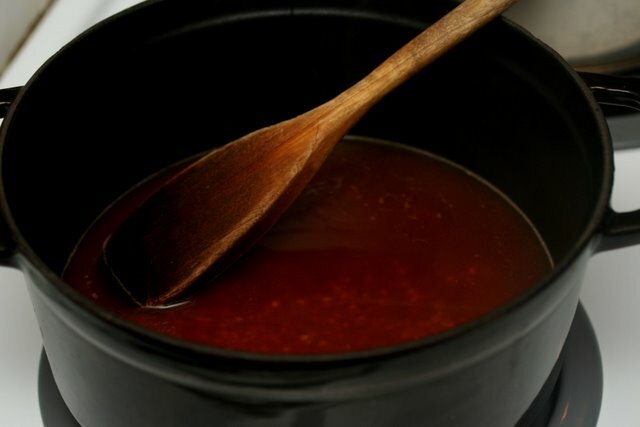 In yet another, combine the remaining stock and the soy sauce. In still another, mix together the cornstarch and cold water. 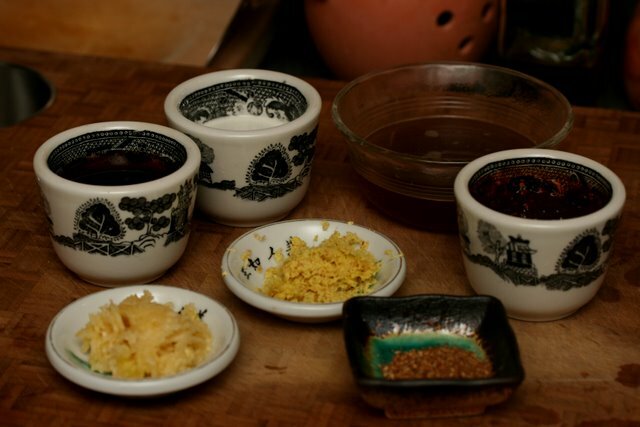 Measure out the Sichuan pepper, mince or press the garlic, and mince or grate the ginger. When the bulgur is ready, heat a wok over medium high heat. 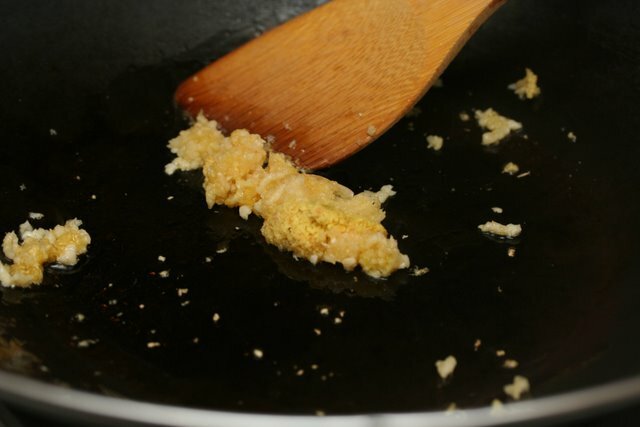 When it is sizzling hot, add a small amount of peanut oil, then add the garlic and ginger, stir-frying for 30 seconds. Add the bulgur and stir fry for about 3 minutes, or until it’s a bit dried out. 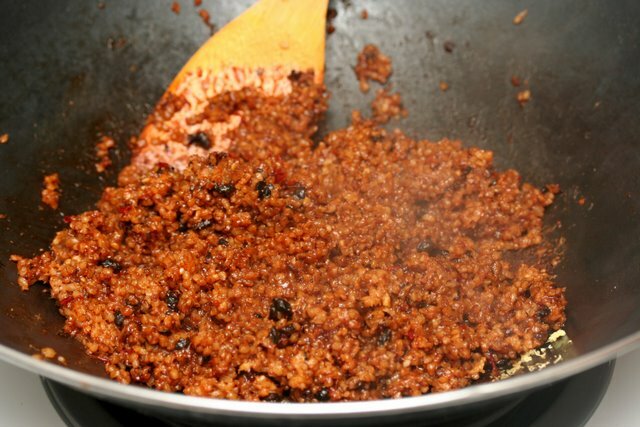 Push the bulgur out of the way, up the side of the wok, and add the shaoxing wine and fermented black beans to the center of the wok. Stir fry for 30 seconds. 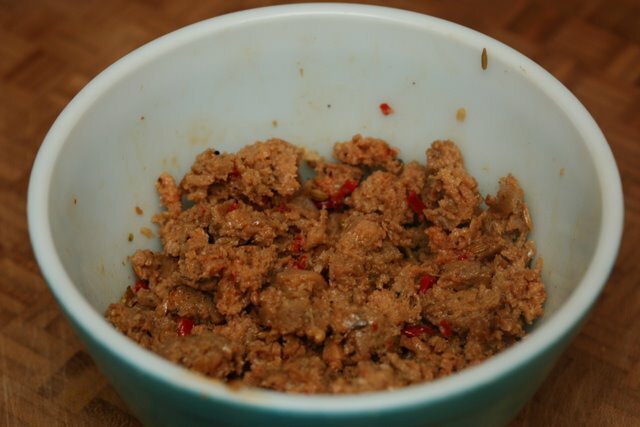 Add the bean and chili pastes and stir fry for another 30 seconds. 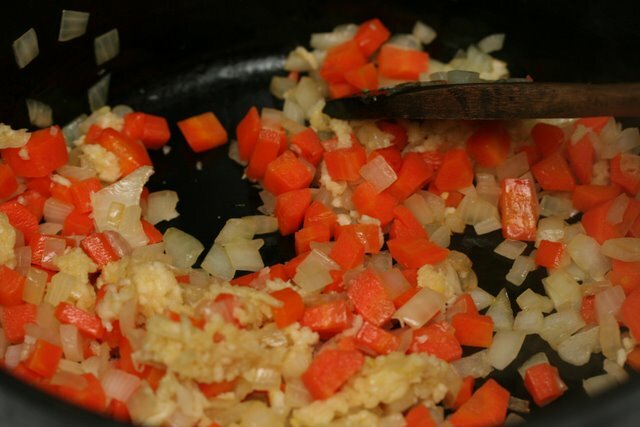 Push the bulgur back down into the center of the wok and mix everything up. Fry for 2 minutes. 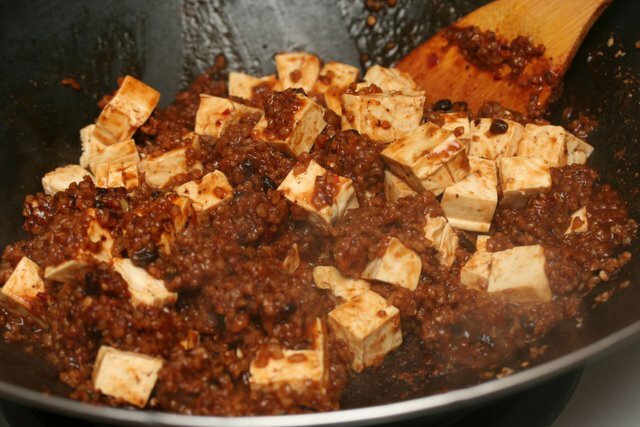 Add the tofu and toss gently with the wok ingredients, trying not to break it up too much. Pour in the remaining broth and the soy sauce and stir. Bring to a boil, then add the cornstarch mixture. 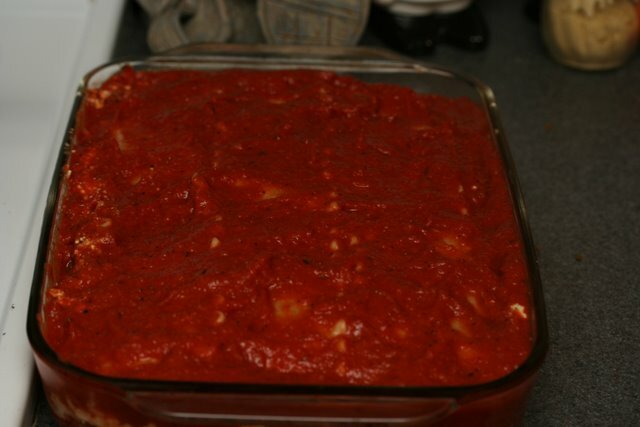 Mix everything together until the cornstarch mixture thickens the sauce and coats everything with a slighty shiny glaze. If I’d had had scallions on hand, I’d have topped with scallions, but I didn’t so I topped with cilantro for that slightly green touch. In other news, another thing my mother likes buying for me is vintage mustard pots, and I don’t deter her from this habit. Then I feel the need to fill the mustard pots with mustard! 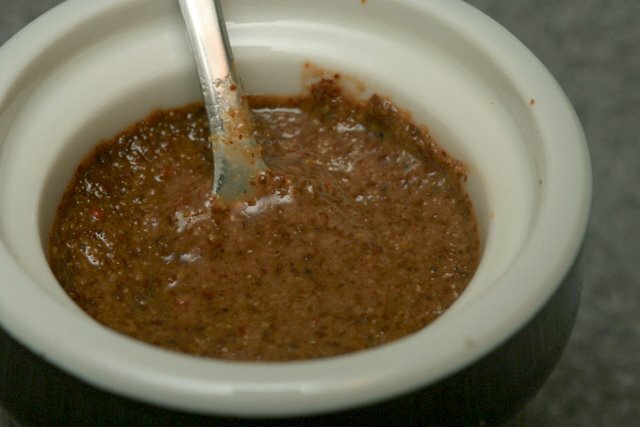 I’ve been wanting to do a post on homemade mustard for a while, but when I saw Jes’s post on the balsamic mustard from the Perfect Pantry on Cupcake Punk a couple of weeks ago, I had to make it. So although I’ll get to an original mustard recipe at some point in time, enjoy these photos of a really, really good mustard in the meantime. In just two weeks I’ll be in the San Francisco airport getting ready to board my flight to Sydney! If anyone has any suggestions for great things to do or great vegan food to eat while I’m there, please let me know! I’ve recently gotten back into making yogurt. See, a year or so ago I mentioned I wanted to start making yogurt and my aunt gave me her old yogurt maker. And for a while there I was making a batch every week. But I kind of got out of it because it was sort of annoying to make. 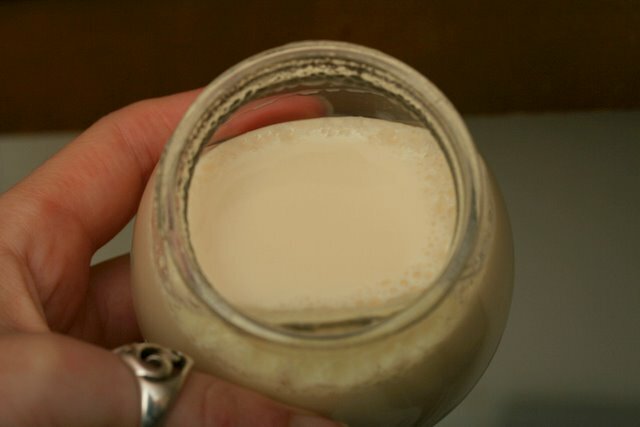 I’d used Bryanna’s method and Susan from Fat-Free Vegan’s method, and while both of them made consistently successful batches of yogurt, the adding of thickeners bothered me for some reason. It seemed like the whole process was a lot harder than it needed to be. Not that either method was difficult (they are very similar), and not that I’m one to shy away from difficult tasks in the kitchen, but when making staples on a weekly basis, I like the process to be as quick and easy as possible. It was Wild Fermentation that changed everything. 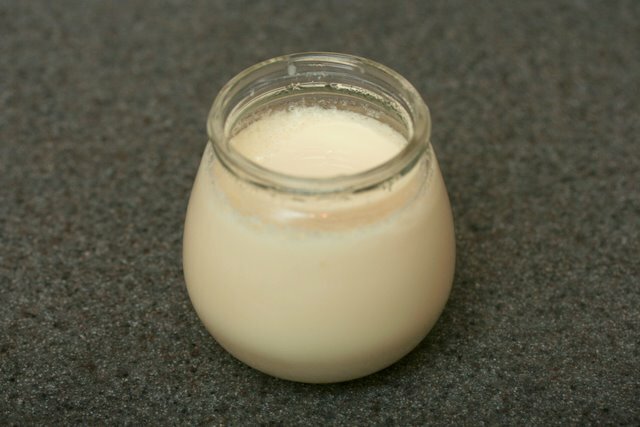 Sandor Katz claimed making soy yogurt was no different than making dairy yogurt (which I’ve never done but which looks very easy and never calls for thickeners), and he shared what I have found is the secret: adding less pre-made yogurt to the warm milk. And nothing else! He himself had read in another source that yogurt cultures don’t like to be “crowded” and that less is therefore more. 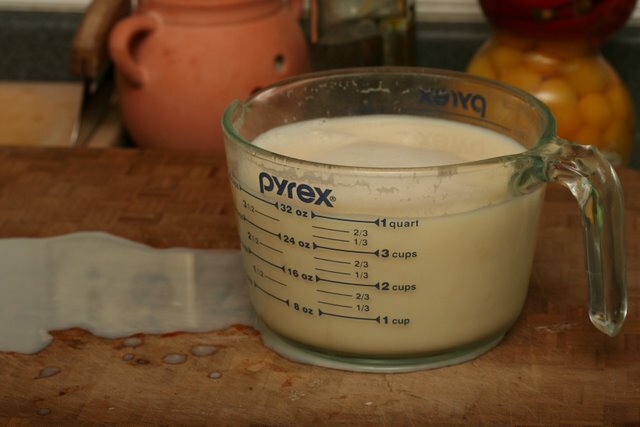 All of the other recipes I’ve found for making soy yogurt call for 1/4 to an entire cup of existing yogurt to be mixed into a quart of soy milk. Sandor Katz called for just one tablespoon. And it works! No need for thickeners or fuss. It’s so easy I’m back to making it all the time. 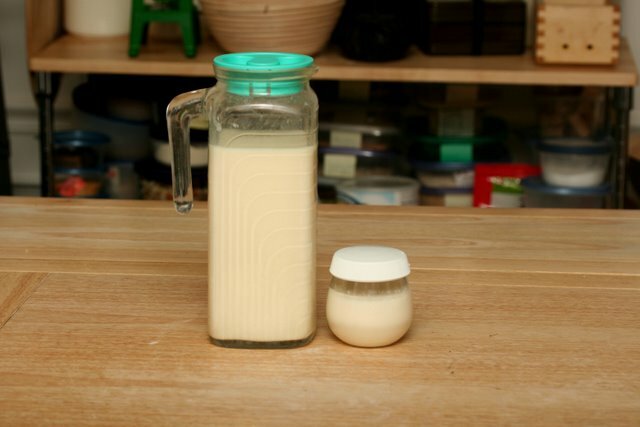 I’ve already explained how to make soy milk, but I figured I’d document it again for this tutorial. But if you already know how to make your own soy milk or if you want to use commercial soy milk, just skip down to the “*******” below. 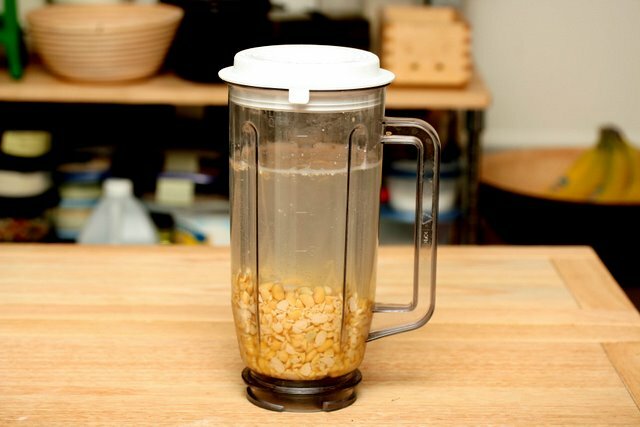 To make about a quart of soy milk, soak 4 ounces of dried soy beans over night (I use 4 handfuls, which is actually a bit more than 4 ounces). It’s not necessary, but I put the dry soybeans in the blender and pulse a few time to break them up. 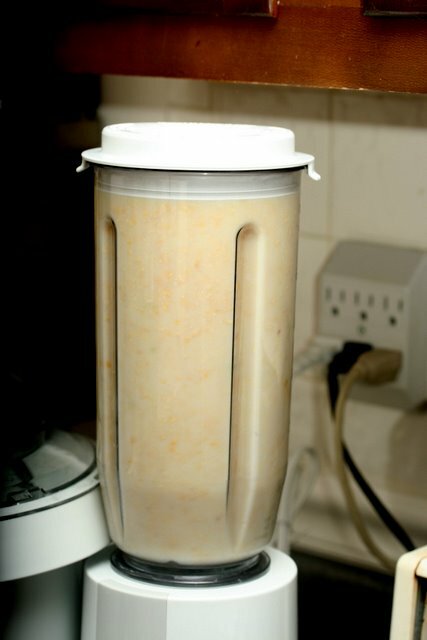 Then I add water to the blender and swirl it around, causing the hulls from the beans to float up to the top, which I then pour off. I repeat this a few times, then I top it off with water and soak the beans right in the blender. 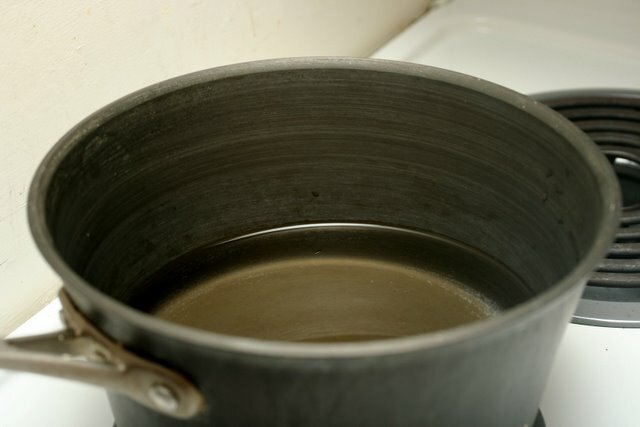 The next morning (or 8 hours later), set a scant 4 cups of water over medium heat in a medium large pot. Meanwhile, drain the soaked soybeans, then put in the blender (if they aren’t already there) with fresh water to cover by 1/2 to 1 inch or so. Blend very thoroughly. Pour the blended soybeans into the water and stir. Heat over medium heat for about 20 minutes, stirring occasionally. 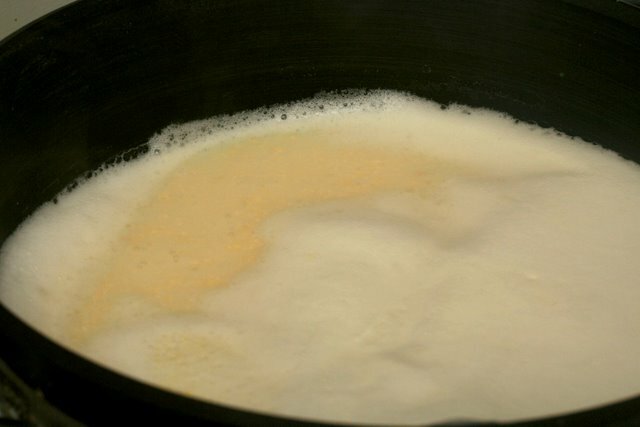 Keep an eye on the soymilk as it has a tendency to rise up and boil over very quickly. If the soymilk gets very foamy on top, you can skim the foam off. 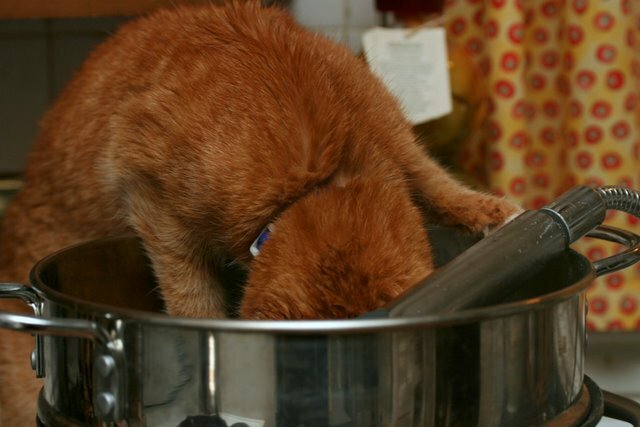 Meanwhile, set up your strainer. 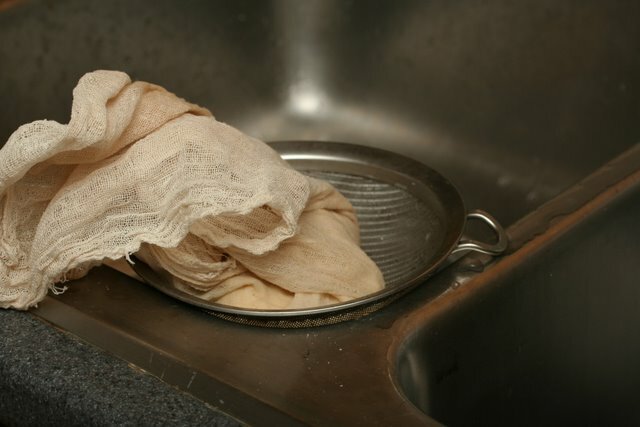 I use a 4-cup measuring cup (although I should really use a larger one, and I’ll show you why in a moment), a strainer, and a piece of cheesecloth. 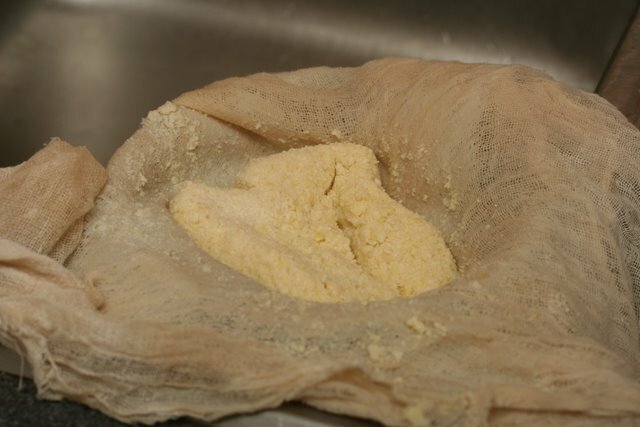 Set the strainer in the measuring cup and line with the cheesecloth. 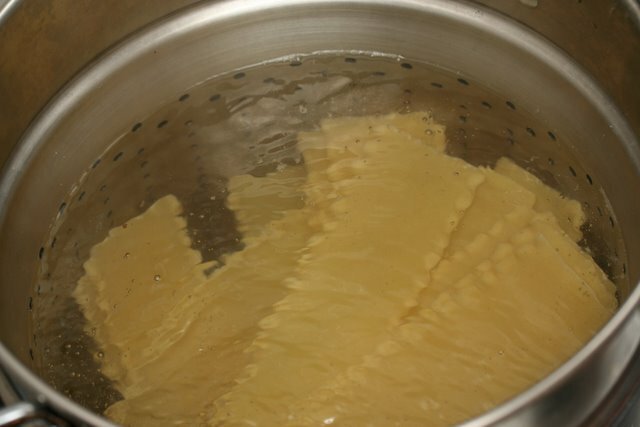 When the soymilk is ready, pour it into the cheesecloth-lined strainer. Now, usually I’m doing this with two hands and as the soy milk filters down into the measuring cup, I lift the strainer out of it to make room for the milk. I didn’t take into account that this time I’d be taking photographs and not have two hands, so I didn’t lift the strainer and the soy milk overflowed. Oops! If I were any smarter than I am, I’d be using a bigger receptacle in the first place, but I like using something that has a spout and that’s what I have. 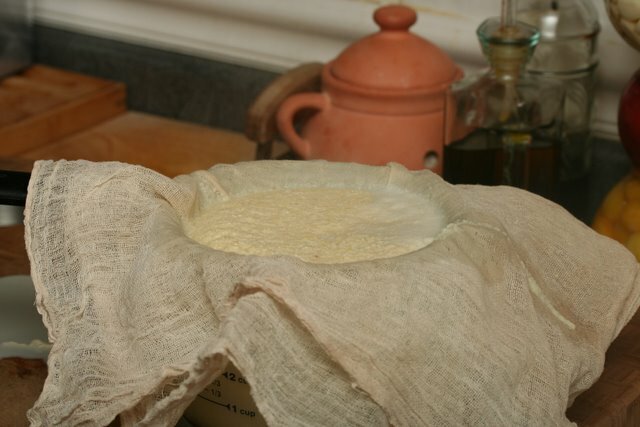 I sort of close the cheesecloth up into a sack and bounce it up and down on the strainer, settling the bean pulp – or okara – and pushing most of the soy milk out. I don’t worry too much about squeezing all of the liquid out because I’m trying to keep this process as fast as possible, but you can get really into it and mash it with a potato masher if you’d like. Here’s the okara. You can save it for another purpose, although if you’ve been a reader for a while you’ll know that I have issues cooking with okara so I’m not going to think any less of you if you throw it away or compost it. 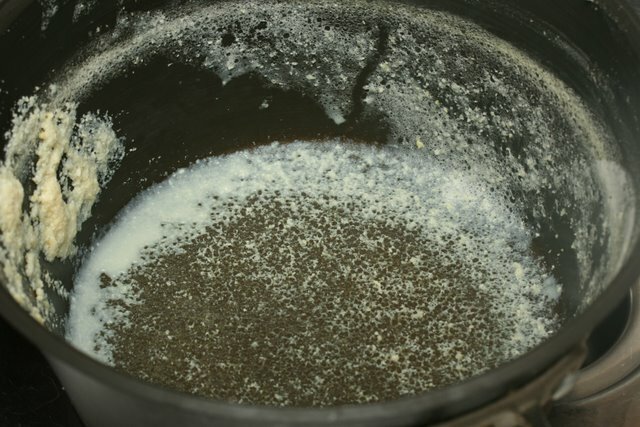 The worst part about making soy milk, by the way, is cleaning up the pot. It requires a lot of scrubbing. You now have soy milk. If that’s all you’re here for, you’re dismissed. You can add a sweetener if you’d like. Frankly, I don’t bother any more. I used to add agave nectar or maple syrup or even a bit of sugar, but the only things I use soy milk for are the occasional loaf of bread (I use water more often, however) and putting on breakfast cereal and most cereals are already too sweet as it is. 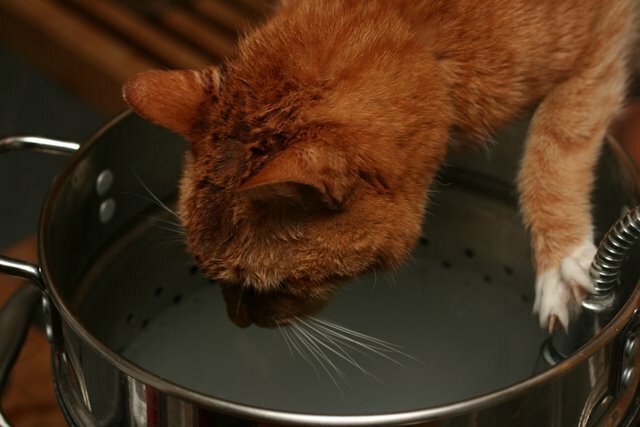 ******* If you are using pre-made soy milk instead of making it now, gently warm it – in a saucepan over medium heat or in the microwave – until just before boiling: about 180 to 190 degrees. Then follow the instructions below. 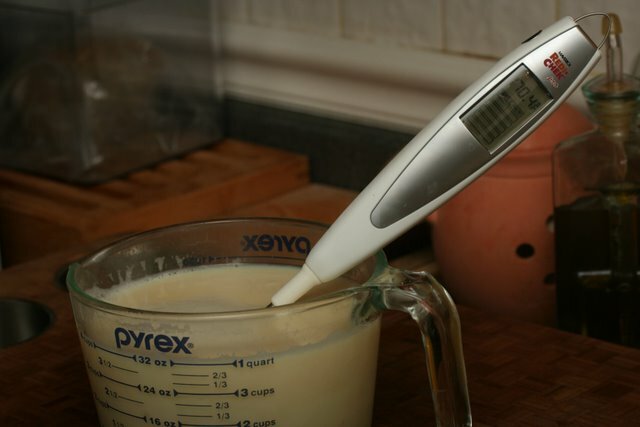 If you have one, stick a thermometer in the soy milk. If you don’t, don’t worry about it. You want the soy milk to cool to about 110 degrees Fahrenheit. This took about 45 minutes for me (though you can speed it up by putting it in the refrigerator or in a cold water bath). If you don’t have a thermometer, just stick your finger in it. If you can leave your finger in without burning it, it’s cooled sufficiently. 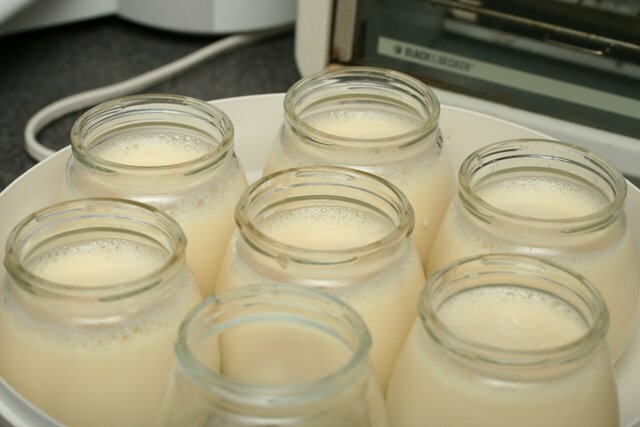 While the soy milk is cooling, sanitize and prepare the container(s) in which you’ll be making the yogurt. You can do this by running them through the dishwasher, or you can either submerge them in boiling water for a few minutes, or do as I did and rinse them out with boiling water. 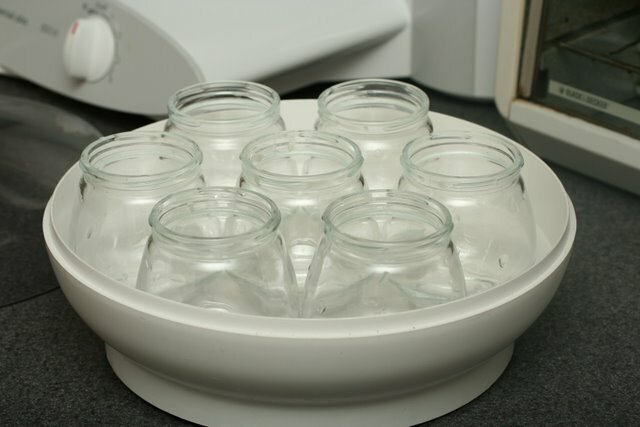 If you are using a yogurt maker, plug it in and set the sanitized container(s) inside. 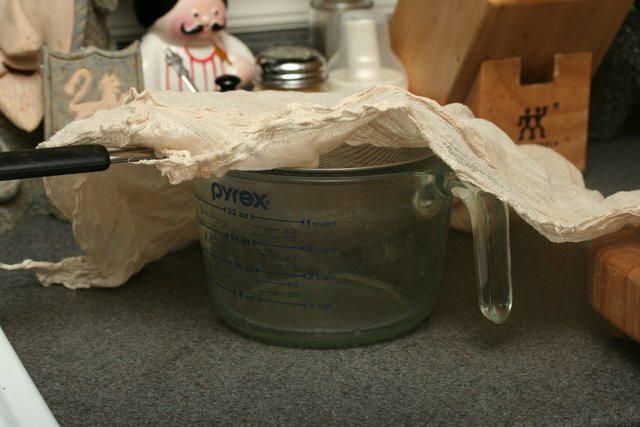 The warmth will help any water clinging to them evaporate and it’s helpful for the containers to come up to temperature before adding the yogurt. 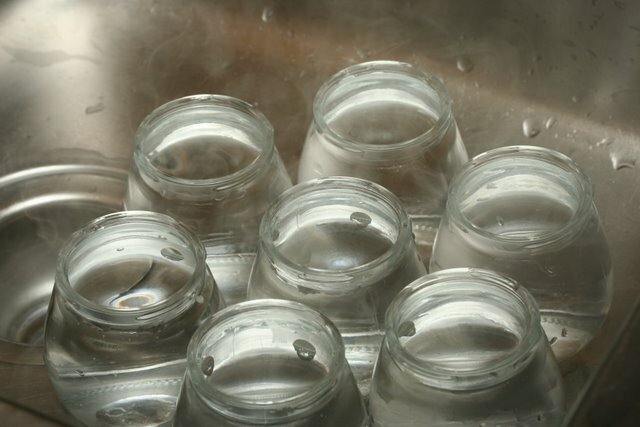 If you don’t have a yogurt maker, there are many incubation ideas floating around the internet. What I’d probably try first is the oven, using either the pilot light of a gas oven or the light bulb of an electric oven. I’ve never used this technique so I’m not going to discuss it, but you’ll find plenty of ideas if you google it. 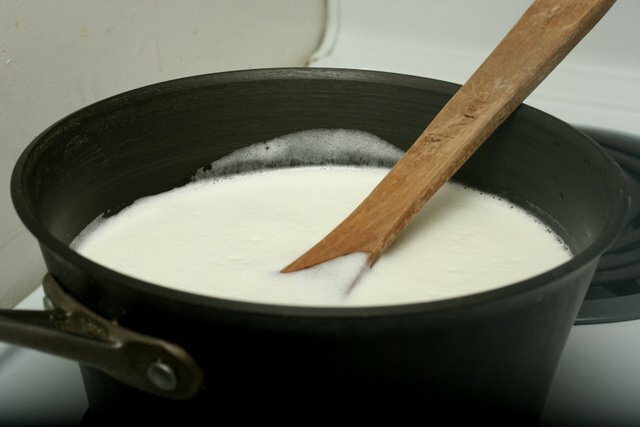 When the soy milk is cool enough, whisk in 1 tablespoon of pre-made soy yogurt. 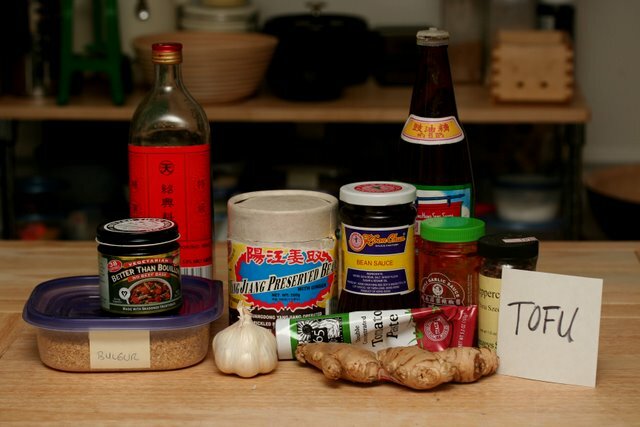 If using store-bought, make sure it contains live cultures; it will say so on the container (Whole Soy does). 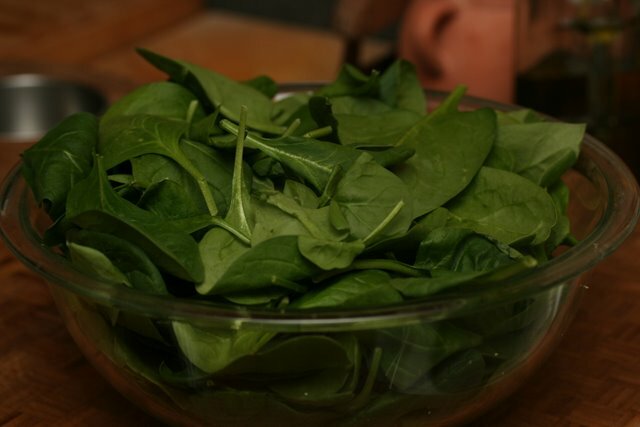 You can also use a tablespoon of your previous batch of homemade yogurt. I’ve read that after six rounds of using your own yogurt, you should make your 7th batch using store-bought again to refreshen the culture, but I haven’t really tested this out because I haven’t managed to make yogurt for 7 consecutive weeks and have had to buy new yogurt before that anyway. When you buy the commercial yogurt, you should make sure it’s plain flavored, although since you’re using so little, I imagine you can get away with a flavored variety if that’s all you can find. I’d probably use vanilla if I couldn’t find plain. If the soy milk gets foamy or bubbly when you whisk it, you can skim the bubbles off to prevent your yogurt from containing bubbles. Pour the soy milk/yogurt mixture into your prepared containers. Incubate. I’ve seen it said both that soy yogurt takes less time and more time to set than dairy yogurt. Having never made dairy yogurt, I can’t tell you which is correct. But I did notice that since using this thickener-less method, my yogurt’s actually been setting in less time than it did before: in as little as 4 hours. This picture was taken after 6 hours. It may have been ready in 4 hours, but Brachtune and I sort of ended up taking a little nap and I didn’t check it. I happened to be flipping through The New Farm cookbook yesterday for an unrelated reason and came across their yogurt making section. Their method is similar to this except they call for more pre-made yogurt. But they did include a little trick for telling if your yogurt is done. If, when tilted to the side, the yogurt comes cleanly from the side of the container, it’s ready. It’s probably hard to see here, but that’s exactly what my yogurt is doing. 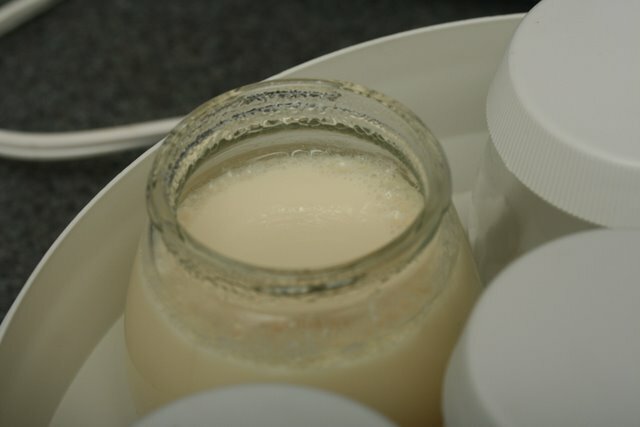 Refrigerate for about 3-4 hours, during which time the yogurt will further firm up, before eating. 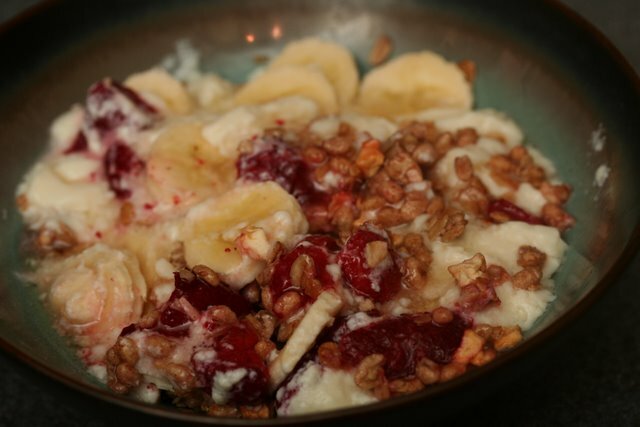 One of my favorite ways to enjoy yogurt is mixed with granola, sliced bananas and other fruit, and drizzled with agave nectar. I know this has been very long, but if you’ve made it this far, I shall reward you with pictures of Brachtune being beautiful.